You know who is amazing? The nurses who will be helping bring our sweet baby into the world this Friday morning! And the nurses who will be with me in the aftermath of the surgery! Those are some special people. Because what these men and women are doing is such an important investment in our … [Read more...] about Thank You Gift for Labor and Delivery Nurses – FREE Printable! It only took me 28 weeks to get my act together to take photos for today's post! These last 28 weeks have been such an adventure. Pregnancy is so fun (feeling baby, knowing God is knitting together a human in my belly, not worrying about my abs for once, discovering cute maternity clothes, … [Read more...] about GENDER REVEAL! I am beyond excited to share 2 amazing things with you today that will bless your families! 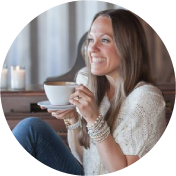 the first is my friend, Ashley, from the life-giving, creative blog The Littles & Me. Her heart is so pure and bright with the love of Christ - you must follow her. Second, Ashley is sharing an incredible … [Read more...] about AMAZING New Christ-Centered Resource for Families This Summer – FREE Printable! THANK YOU TO CHESAPEAKE BAY CANDLE FOR SPONSORING TODAY’S POST. ALL THOUGHTS AND OPINIONS ARE 100% MY OWN! Do you know what my mom does for me? She lights up my world. Every day. This could be an encouraging word after a bad day, an offer to watch the boys so Mr. B. and I can go out, a … [Read more...] about Simple Mother’s Day Gift Idea – FREE Printable! THIS POST CONTAINS AFFILIATE LINKS FOR YOUR CONVENIENCE. THANK YOU FOR SUPPORTING THIS SITE AND MY FAMILY! SEE MY FULL DISCLOSURE HERE. Today I am partnering with Zonderkidz for a fun giveaway! Our family has been long time fans of The Berenstain Bears. And when I say long time, I mean 30 … [Read more...] about Christ-Centered Easter Book and a GIVEAWAY! *SUPER EXCITING ANNOUNCEMENT* – WE’RE PREGNANT! SOOOOO... We've got some CRAZY news to share! I've mentioned a few times over the last several years that we would love to have another baby, but every month, the Lord said, "Not yet." The path of infertility is one we know very well and, while that is never an easy path, we have learned (and … [Read more...] about *SUPER EXCITING ANNOUNCEMENT* – WE’RE PREGNANT!